GLASSBORO, N.J. – Former NFL star and Christian speaker, Joe Klecko, had the honor of giving the keynote speech to a group of 50 men at the Catholic Men’s Conference, held on Sept. 14 at Our Lady of Lourdes Church, Mary, Mother of Mercy Parish, in Glassboro, N.J. The conference was co-sponsored by Mary, Mother of Mercy Parish and the Knights of Columbus, St. John Neumann and Our Lady Queen of Peace councils. 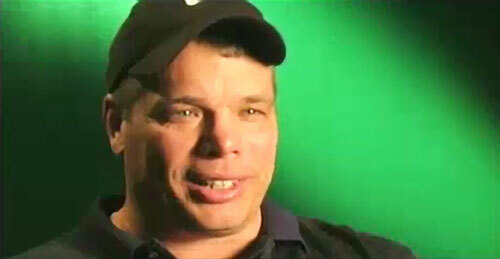 Joe Klecko, former defensive lineman for the NY Jets, talks about how his faith in God saved him from a life of crime and bankruptcy and spreads the message of what it takes to be a champion for God. Klecko, who recalled growing up a “cradle Catholic” in Chester, Pa., played for 12 years in the NFL. He is best remembered as a defensive lineman as a member of the New York Jets’ famed “New York Sack Exchange.” He is one of our more popular Christian speakers and spreads the message of what it takes to be a champion for God. If you would like to book athletes like Joe Klecko for a speaking engagement, personal appearance, or church function, contact our booking agent for appearance and speaker fees or call 1.855.303.5450. MY NAME IS BRAD AND I WOULD LOVE TO TALK TO JOE. I PLAYED ON JOE’S SOFTBALL TEAM. IF YOU WOULD LET HIM KNOW I WOULD APPRECIATE IT. THANKS.